The American Plumber W10-PR water filter housing is a large capacity housing for whole house and high-flow applications. The housing has a pressure relief button for changing water filters. The housing can be used with a sediment filter to reduce sediment, sand, and silt. 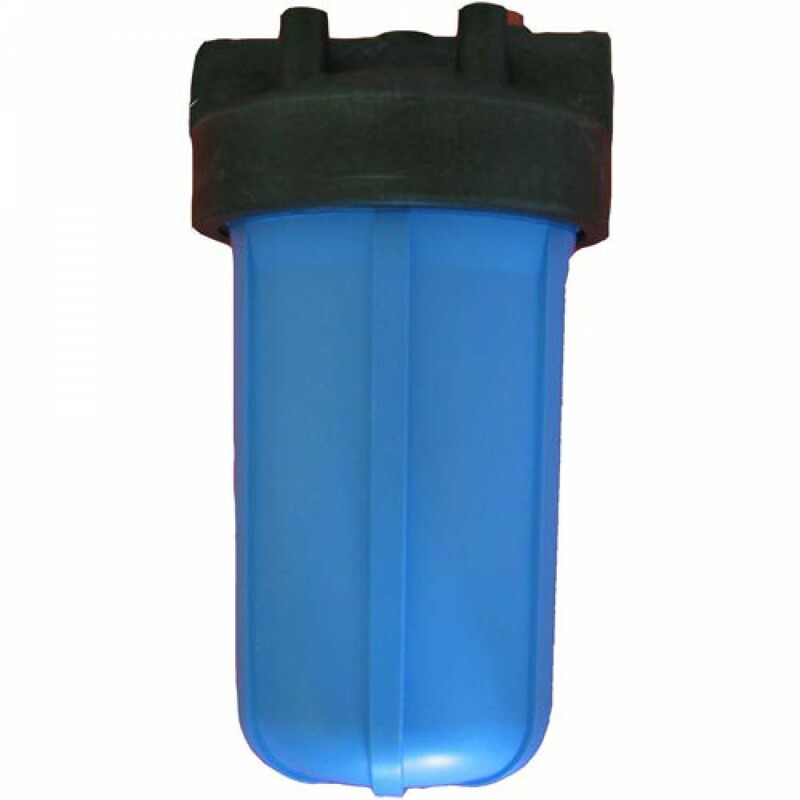 Can also be used with a carbon filter to reduce chlorine taste and odor. The American Plumber W10-PR has 1 inch NPT inlet/outlets. The American Plumber W10-PR heavy duty water filter housing can use any 10" x 4.5" water filter. 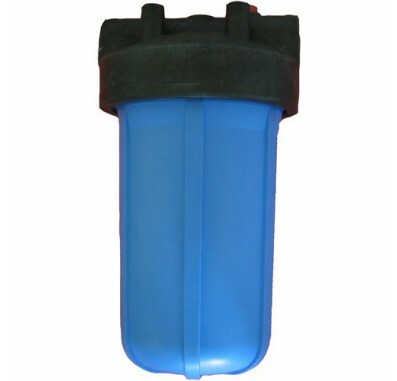 The whole house water filter page lists many heavy duty water filters for this housing. Use o-ring silicone grease to lubricate the o-rings. The American Plumber W10-PR wrench is the SW-3 wrench. The American Plumber W10-PR bracket is the WB-SS mounting bracket. The American Plumber W10-PR replacement sump (bottom housing canister) is the 10-BB-SB housing sump. The American Plumber W10-PR replacement cap (top of the housing) is the 154166 housing cap.